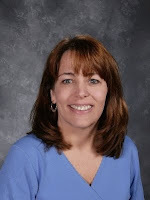 Today, it is with great pride that I introduce a new feature here on www.TeachingAuthors.com: Student Success Stories! 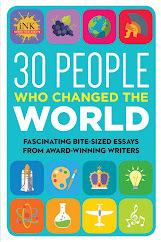 We hope that by sharing stories of some of the accomplishments of our writing students we will help inspire other teachers and aspiring writers. I am honored to feature one of my former students as our first Student Success Story: Laura Crawford. Laura was a student in a Continuing Education class I taught on Writing for Children and Young Adults at the College of DuPage back in the summer of 2001. About a week before our first session, the college called to say the class had filled and to ask if I'd be willing to take an extra student. I'm normally fairly strict about the class size to allow enough time for manuscript critiques. After talking to Laura on the phone, I decided she was a serious student, so I made an exception for her. I'm so glad I did! I believe that of all my former students who have gone on to have their work published, Laura has been the most prolific. 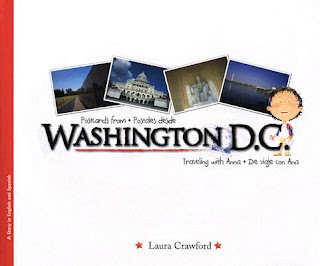 I was especially thrilled when I found out that a manuscript of Laura's that we had critiqued in class was to be published by Raven Tree Press as Postcards From Washington, D.C. The book became part of a series that also includes Postcards From Chicago, and Postcards From New York City. Interestingly, Laura's first published book was one she wrote after Postcards From Chicago. The Pilgrims’ Thanksgiving From A to Z was published by Pelican Publishing in 2005. Her second book, In Arctic Waters, a cumulative tale about Arctic animals, was published by Sylvan Dell. Her newest book, The American Revolution From A to Z, is another alphabet book with Pelican Publishing. 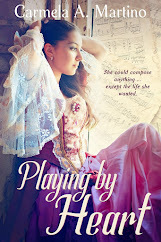 To celebrate the book's release, we will be giving away an autographed copy. Instructions for how to enter our drawing will be at the end of this post. Laura, what inspired you to sign up for my class? When I was getting my Masters Degree at Northern Illinois University, one of my teachers had recently published a book. The idea of being published intrigued me, but I didn't do anything to pursue that dream for about 3 years. During the summer of 2001, I was looking through a catalog for one of the community colleges. I saw your introductory class and signed up. I almost didn't get in because the class was limited to 20 students, but you had pity on me, and let me be number 21. Thank goodness you bent the rules, because the class changed my life. I remember being very nervous and having no idea what to expect from an adult writing class. I had always been a math and science person, so this was new. In the first session, we did a writing exercise and had to decide what we were going to write about. I had plenty of ideas, but you wanted us to write the book, and bring it the following week. Yikes! I went home and finished it in one night. And…I was ready to submit it. (Yes, I was quite the ambitious ‘newbie’). I was unbelievably nervous to share my writing--I had never done anything quite like this before. The class critiqued it, and I left that night with a much better book. I appreciated the kind and supportive atmosphere of the group. You eventually went on to publish the manuscript you worked on in class. Did the manuscript change much by the time it was published? Yes, that first manuscript was a mess…and now it is Postcards From Washington, D.C. I did over 30 revisions on that book. That was my first indication that I can be very wordy….the current book is about 1,200 words, and the original was about 3,000! How does being a teacher influence or inspire your writing? All of my books have stemmed from a need in my second or third grade classroom. I started Postcards From Washington, D.C. after doing a unit in second grade on the nation’s capital. I couldn't find a book that covered the material I needed, so I wrote one, and I had the students illustrate it. They were NOT happy to learn that their pictures were not going to be in the published book! I did the same with the Pilgrims’ Thanksgiving From A to Z and In Arctic Waters. My goal is to present science and social studies curriculum in a fun way. In addition to teaching and writing, you blog about nature-related books for children at Wild About Nature. How do you balance your full-time job teaching with your writing, marketing, blogging, etc.? I don’t! I have a very hard time balancing everything, so I do most of my writing on the weekends or during the summer. I wish I could be one of those people who write every day, but I’m not. I do believe that being a teacher makes me a better writer, and writing has made me a better teacher. Yes. I have taken classes with Heidi Roemer, an Illinois author. Another huge component of my writing education has been my SCBWI (Society of Children's Book Writers and Illustrators) writing groups.They provide me with insights, support, and suggestions every month. I have learned so much from my fellow authors, especially those who write nonfiction or are also teachers. I would not be where I am today without my writing groups, Heidi, and you, Carmela. Thanks so much for sharing your "Student Success Story" with us, Laura. And thanks also for donating a copy of your newest book, The American Revolution From A to Z, for our giveaway. And now, as promised, here's the information about our giveaway. Before entering, be sure to first read our Giveaway Guidelines here. 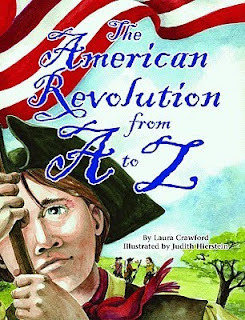 If you'd like a chance to win an autographed copy of Laura Crawford's The American Revolution From A to Z, post a comment to today's blog post telling us whether you'd like to have the book for yourself, or to give as a gift. You must also provide your email address or a link to your own blog in your comment so that we can contact you. (U.S. residents only, please.) Entries must be posted by 11 p.m. Saturday, December 12, 2009 (Central Standard Time). The winner will be announced by 11 p.m., Sunday, December 13, 2009. 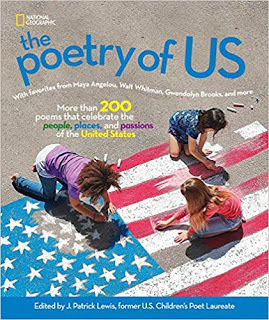 If I win, I will give the book as a gift to my daughter's school library. This is only the second year our school has been open and the shelves have too much free space! This looks like a fun and educational book - I'd love to add it to my daughter's homeschool library! No need to enter me. I'm dropping in to say thanks for the e-mail, ladies. I've got this posted at Win a Book for you. No need to enter me in the drawing. I just wanted to say: Great interview! What a wonderful way to encourage writing students. I look forward to reading more interviews. 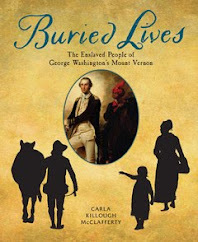 I would love to add this to our homeschool library for next year. We'll be studying American history and it would be wonderful!! OOOO!! I would love to give this to my younger brothers:) They would love reading it. Please enter me:) Thanks!! 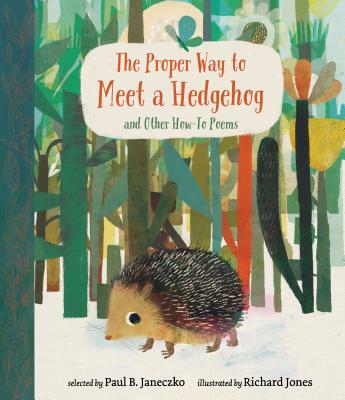 I'd love to win this book for my children's school library. The school has a lot of pluses, but the library really needs new books. I would love to win this for my two kids. I would like to give it to my MIL who is a teacher. I would love to give this as a gift to my daughter who loves history. Our Gift To You on Poetry Friday!